• Exclusive Membership - AITO sets criteria regarding ownership, finance and quality which must be satisfied before new companies are admitted to membership. All members are required to adhere to a Code of Business Practice which encourages high operational standards and conduct. • Financial Security - An AITO member is required to arrange financial protection for all holidays and other arrangements (including accommodation only) booked by customers with the member under the AITO logo. This financial protection applies to customers who are resident in the UK at the time of booking and to most overseas customers who have booked directly with the member. In doing so, the member must comply with UK Government regulations. Members are required to submit details of their financial protection arrangements to AITO on a regular basis. • Accurate Brochures/Web Sites - All members do their utmost to ensure that all their brochures and other publications, print or electronic, clearly and accurately describe the holidays and services offered. • Professional Service and Continual Improvements - All members are committed to high standards of service and believe in regular and thorough training of employees. Members continually seek to review and improve their holidays. They listen to their customers and always welcome suggestions for improving standards. • Monitoring Standards - AITO endeavours to monitor quality standards regularly. All customers should receive a postholiday questionnaire, the results of which are scrutinised by the Association. 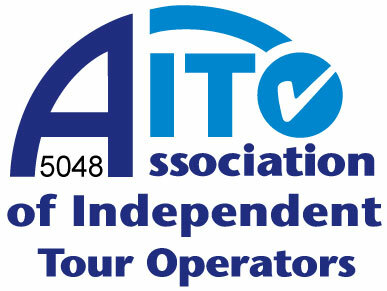 •Sustainable Tourism - All members acknowledge the importance of AITO’s Sustainable Tourism guidelines, which recognise the social, economic and environmental responsibilities of tour operating. Those demonstrating their achievements beyond the pure acceptance of this principle are recognised by the award of 2 to 5 star status. Explore have achieved 5 star status. •Customer Relations - All members endeavour to deal swiftly and fairly with any issues their customers may raise. In the unlikely event that a dispute between an AITO member and a customer cannot be settled amicably, AITO’s low-cost Independent Dispute Settlement Service may be called upon by either side to bring the matter to a speedy and acceptable conclusion.